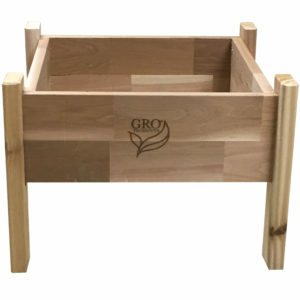 Includes Custom Fitted Fabric liner-A Gro Products Exclusive! 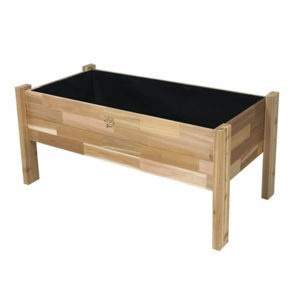 Great way to garden- no bending over! 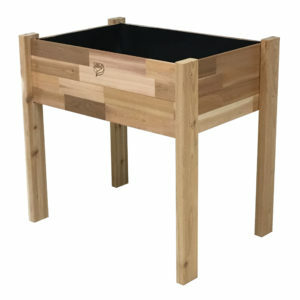 An easy and fun way to plant your vegetables, herbs, or flower gardens! 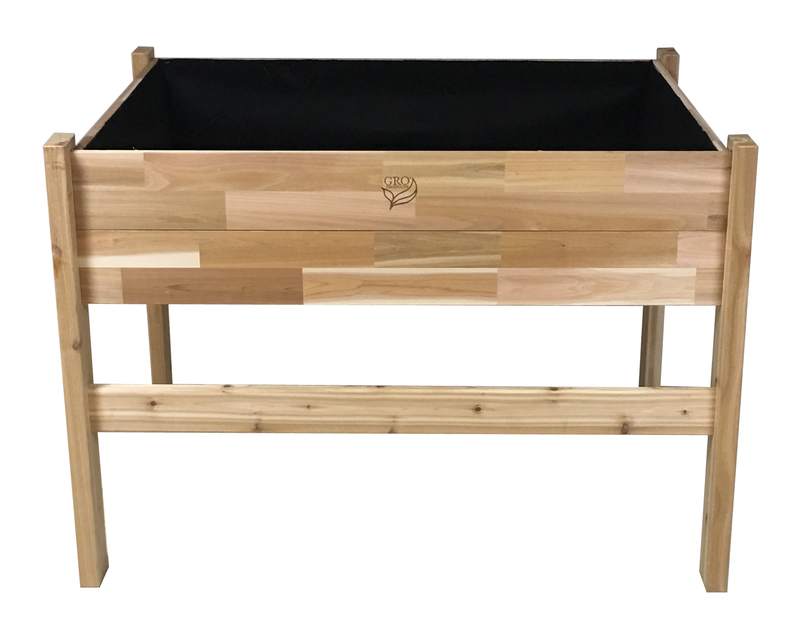 Easy to assemble, the Elevated Garden Planter from GRO Products is constructed with naturally durable, rot and insect resistant, select tight knot and finger-jointed, unfinished Western Red Cedar. Finger-jointed cedar alleviates the need to always mill solid planks of lumber from standing trees, which helps sustain forests and prevent wood waste. 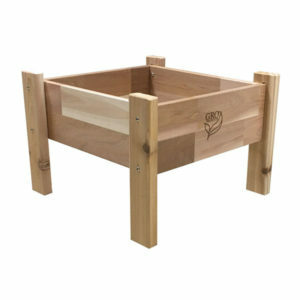 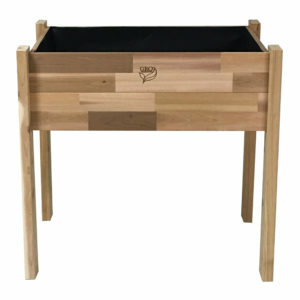 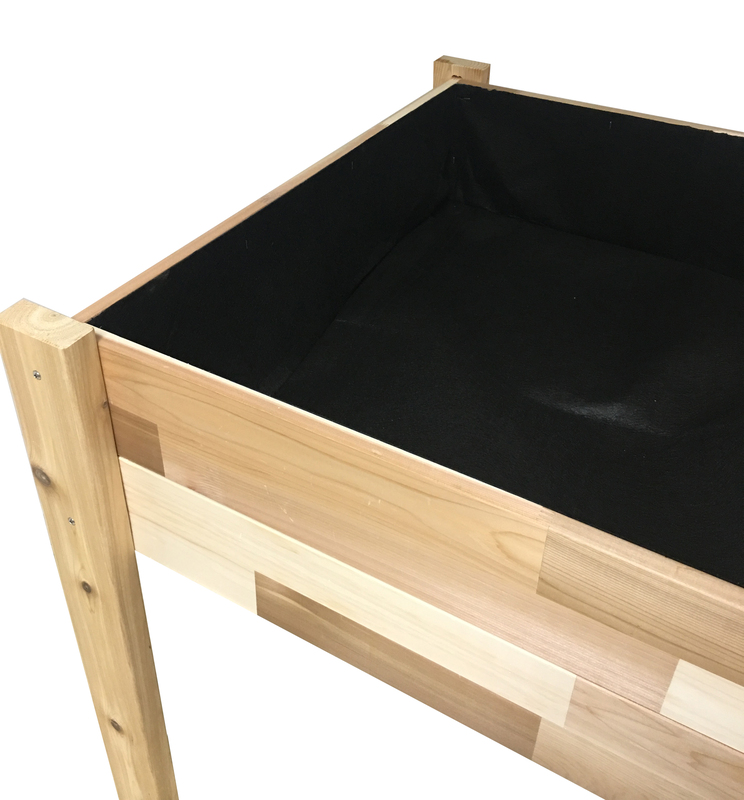 The planter is pre-drilled, pre-cut, includes all fastening hardware and custom fitted fabric liner. 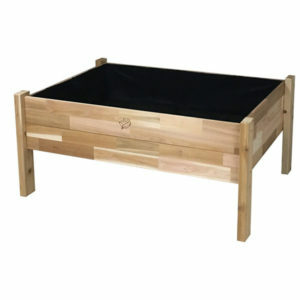 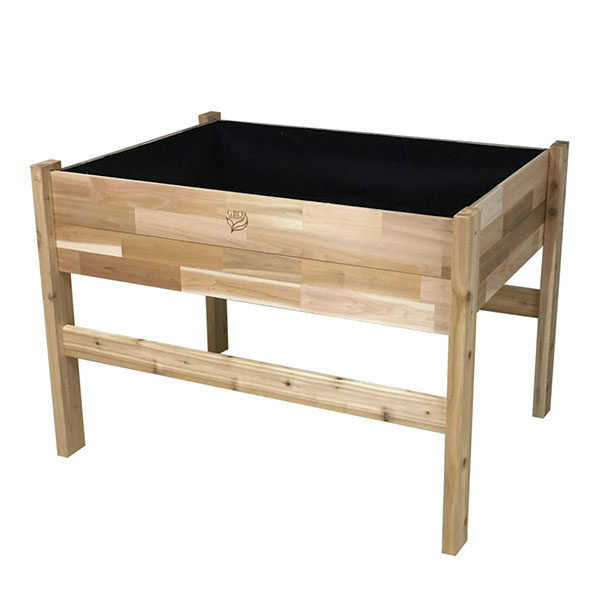 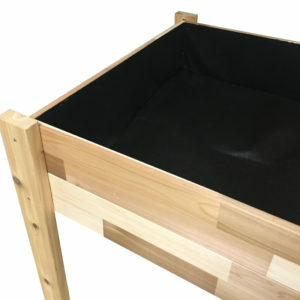 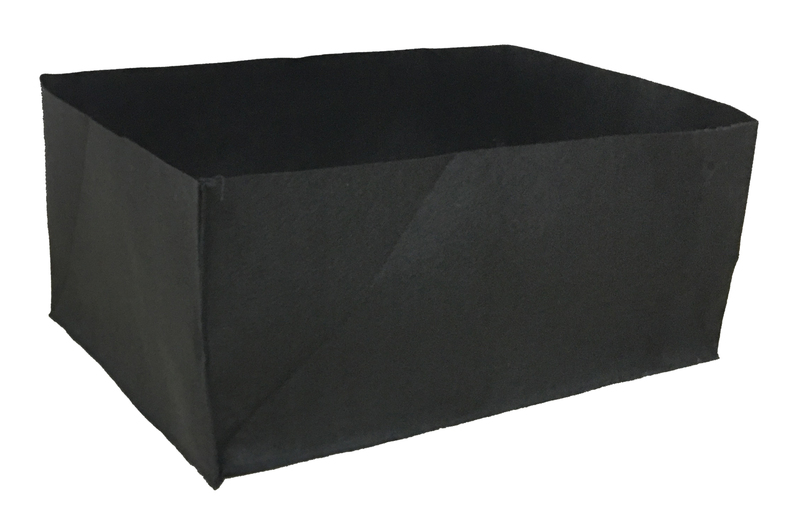 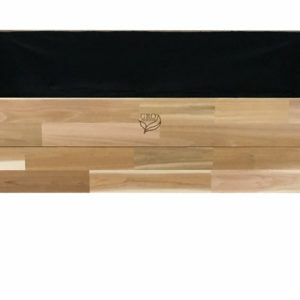 Place custom fitted, heavy duty, landscape fabric into the planter, add your soil and you are ready to plant your vegetables, herbs, or flower gardens.